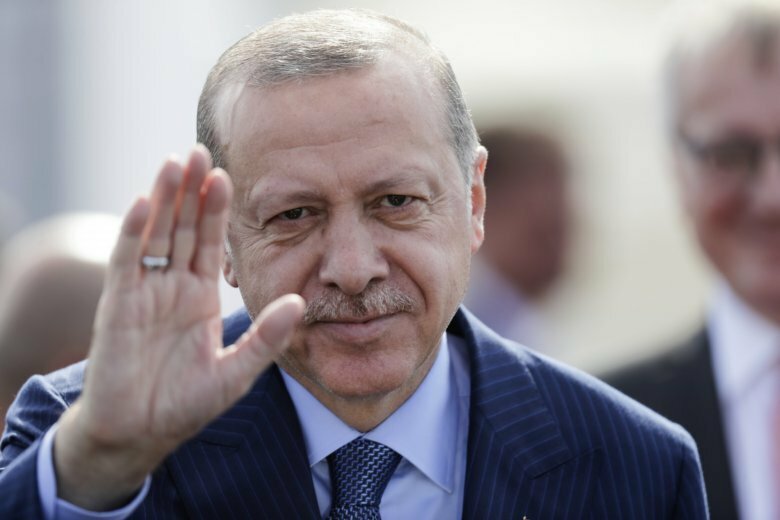 ANKARA, Turkey (AP) — Turkey’s president in remarks published Friday accused the United States of failing to abide by a deal for a U.S.-backed Syrian Kurdish militia to withdraw from a town it had liberated from Islamic State militants in northern Syria. Turkish President Recep Tayyip Erdogan said the U.S. hasn’t honored the agreed-on “roadmap” for Manbij. His comments were published in Hurriyet newspaper. In the nearby province of Idlib, thousands of pro-Turkey protesters marched in the streets of towns and villages calling for the ouster of President Bashar Assad’s government. Syrian opposition activists said al-Qaida-linked fighters prevented demonstrators from entering a key northwestern town controlled by extremists. The activist, who spoke on condition of anonymity for fear of reprisals, said the militants consider the pro-democracy protesters heretics. The attack on Idlib was averted last week in a deal reached between Russia and Turkey to set up a demilitarized zone along the western, southern and eastern edges of the province. Russia is a main backer of Assad while Turkey supports rebels that want him out of power.